The incidence of heterotopic pregnancy has risen dramatically with the widespread use of assisted reproductive technology. The risk factors for this pathology include tubal infertility, cleavage stage embryo transfer and frozen embryo transfer. Herein we report two cases with cornual heterotopic pregnancy after in vitro fertilization/embryo transfer. They managed by laparoscopic cornual repair or salpingectomy. Early diagnosis and appropriate management of heterotopic pregnancy may lead to a favorable prognosis. Talbot K, Simpson R, Price N, Jackson SR. Heterotopic pregnancy. J Obstet Gynaecol 2011;31:7-12. Felekis T, Akrivis C, Tsirkas P, Korkontzelos I. Heterotopic triplet pregnancy after in vitro fertilization with favorable outcome of the intrauterine twin pregnancy subsequent tosurgical treatment of the tubal pregnancy. Case Rep Obstet Gynecol 2014;2014:356131. Ehrenberg-Buchner S, Sandadi S, Moawad NS, Pinkerton JS, Hurd WW. Ectopic pregnancy: role of laparoscopic treatment. Clin Obstet Gynecol 2009;52:372-9. Berretta R, Merisio C, Dall’Asta A. Conservative treatment for interstitial monochorionic twinpregnancy. J Obstet Gynaecol Res 2014;40:829-32. Refaat B, Dalton E, Ledger WL. Ectopic pregnancy secondary to in vitro fertilisation-embryo transfer: pathogenic mechanisms and management strategies. Reprod Biol Endocrinol 2015;13:30. Moawad NS, Mahajan ST, Moniz MH. Current diagnosis and treatment of interstitial pregnancy. Am J Obstet Gynecol 2010:202:15-29. Vilos GA. Laparoscopic resection of a heterotopic cornual pregnancy followed by term vaginal delivery. J Am Assoc Gynecol Laparosc 1995;2:471-3. Sagiv R, Golan A, Arbel-Alon S, Glezerman M. Three conservative approaches totreatment of interstitial pregnancy. J Am Assoc Gynecol Laparosc 2001;8:154-8. Weissman A, Fishman A. Uterine rupture following conservative surgery for interstitial pregnancy. 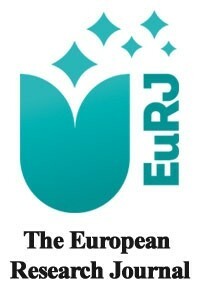 Eur J Obstet Gynecol Reprod Biol 1992;44:237-9. Downey GP, Tuck SM. Spontaneous uterine rupture during subsequent pregnancy following non-excision of an interstitial ectopic gestation. Br J Obstet Gynaecol 1994;101:162-3. Radwan F, Martin S. Management of corneal (interstitial) pregnancy. Obstet Gynecol 2007;9:249-55. Fu J, Henne MB, Blumstein S, Lathi RB. Rupture of ectopic pregnancy with minimally detectable beta-human chorionic gonadotropin levels: a report of 2 cases. J Reprod Med 2007;52:541-2. Bu Z, Xiong Y, Wang K, Sun Y. Risk factors for ectopic pregnancy in assisted reproductive technology: a 6-year, single-center study. Fertil Steril 2016;106:90-4. Yanaihara A, Yorimitsu T, Motoyama H, Ohara M, Kawamura T. Clinical outcome of frozen blastocyst transfer; single vs. double transfer. J Assist Reprod Genet 2008;25:531-4. Rombauts L, McMaster R, Motteram C, Fernando S. Risk of ectopic pregnancy is linked to endometrial thickness in a retrospective cohort study of 8120 assisted reproduction technology cycles. Human Reprod 2015;30:2846-52. Egger E. Recurrent interstitial pregnancy: a review of the literature. Geburtsh Frauenheilk 2017;77:335-9.